Specifically developed for foodservice preparation. 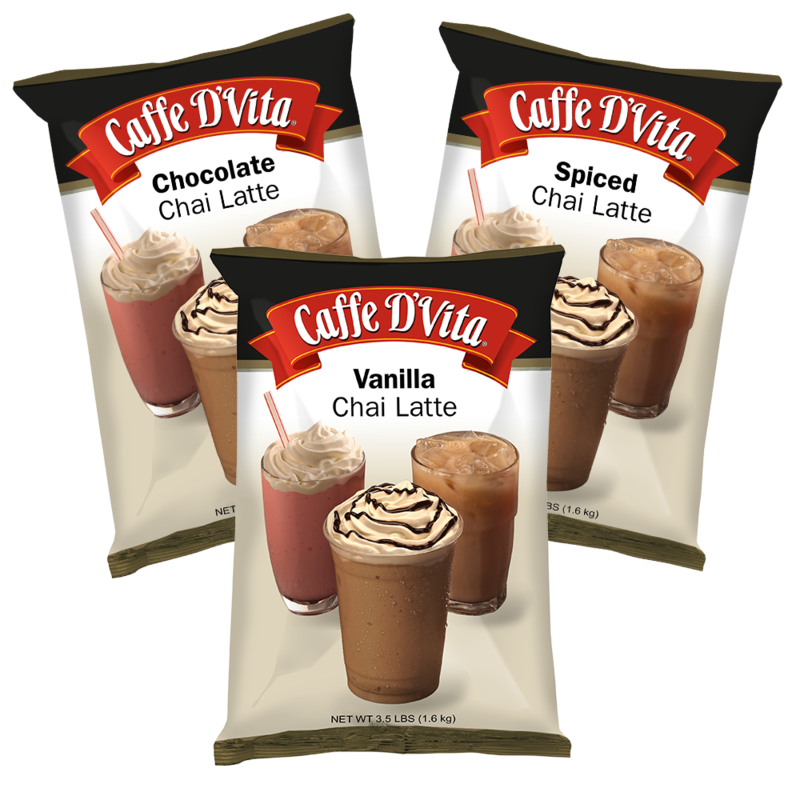 Just add water, ice and Caffe D’Vita Enchanted Chai mix to create a perfect drink every time or enjoy a warm soothing cup of hot chai in your favorite flavor. Exotic spices, Madagascar Vanilla, honey, black tea and creamer – it’s all in the mix!